Our Military Insignia and Flag Display Case is made of finely crafted wood with a fine oak finish. This case is ideal for displaying medals, memorabilia, certificates and a flag. Our Military Insignia and Flag Display Case is made in the U.S.A., and it holds a 3ft x 5ft or 5x9.5 ( burial flag) folded flag (flag is sold separately, see our Cotton American Flags). The medal display area is lined with rich, black felt. The size of this case is 19-in. wide x 20-in. tall, and the case’s document holder dimensions are 8 1/2 in. (top of display case to the top of the shadow box) x 15 1/2 in. (from side to side of the box). Our Military Insignia and Flag Display Case is crafted in genuine hardwoods, material as durable as it is attractive. Red oak, along with walnut, is typically much harder than other types of wood. Due to the hardness of the wood, hardwood display cases are very sturdy and resistant to dings and scratches. The hard wood makes products that is durable and heavy, as our customers can always attest. Our Military Insignia and Flag Display Case are perfect for displaying flags from all branches of the military and other public services, such as police and firemen. Military Insignia and Flag Display Case have a certain charm unmatched by other memorabilia displays because of the presentation of the precious keepsakes found inside the case. Of course, framing these treasures in elegant and distinguished fashion is key. Our products can bring elegance to the most ordinary of home hallways, office walls, corridors or club or association headquarters. The right flag display showcase not only shows off the beauty of what’s inside, but keeps it preserved and secure as well. A flag display case from flagsconnections.com is a great investment. Our military flag or memorial flag display case units are crafted from only the finest, hand-selected hardwoods. 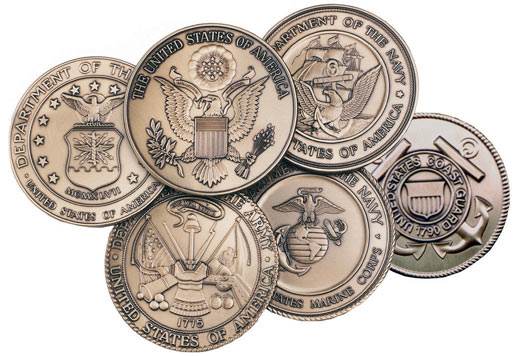 Buying a Military Insignia and Flag Display Case from flagsconnection.com means you are buying a top-quality piece, crafted so well and made from such fine materials, it is sure to be appreciated from generation to generation as a family heirloom. When you are placing the items in a shadow box or Military Insignia and Flag Display Case we can recommend placing the Insignia on top followed by the Medals(decorations) (from highest honor downwards). Then the Ribbons, and Badges, (combat, badge, parachute badge, medical field badge, then rifle badges, bayonet badge etc). Then place the Patch of the division that your soldier fought or served with. Then your loved ones Photo. This type of "order" is what is generally found when displaying medals. What type of "lay out" you choose, is totally up to you.